If you have been injured by a dangerous or defective product, you need the advice of an attorney in order to protect your interests and seek the compensation you deserve. 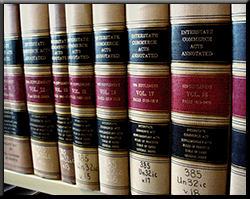 The law office of Frederick A. Costello has extensive experience in Product Liability Law. We represent individuals who have been injured by defective products such as motor vehicles, household products and appliances, medical devices, drugs and chemicals, and equipment or products used at a workplace. We will work tirelessly to ensure that you receive the compensation you deserve from any injury you receive. Often, a consumer does not even realize that by law that person can be compensated for any lost wages, medical bills, or pain and suffering associated with an injury as a result of using a dangerous or defective product. Contact us for legal advice and representation.